What's the Difference Between SaaS and Hosted? What’s the Difference Between Software-As-A-Service (SAAS) vs. Hosted? It’s important to recognize the differences between Software-as-a-Service (SaaS) and hosted software so that you’re able to choose the option that best suits your needs. In simple terms, SaaS is a service you pay for and hosted is a product you own outright. 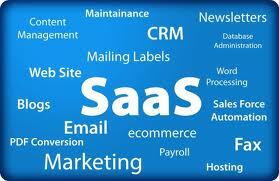 SaaS—also called software on demand—provides access to software via the Internet. Its pay-as-you-go method allows a customer to use software on an as-needed basis, without needing to install it or purchase a license. SaaS applications can be accessed securely by multiple customers, each of whom typically pays a monthly usage fee. When using the SaaS model, all customers’ data is stored in the same database, but each client’s data is accessible only to themselves. Since this is a single instance of software, customization is limited, but it often can be personalized through profiles or system settings. Along with the absence of software installation and management on the user side, SaaS is accessible virtually anywhere—as long as you have an Internet connection—and although it may be more expensive in the long run, the limited upfront costs and immediate access make it financially appealing to some companies. Another attractive point for some customers is not having to update software as new versions are released, as all customers get the same updates at the same time, as well as the lack of necessity for on-site IT maintenance and troubleshooting. On the other hand, hosted basically means a customer purchases and owns software; each customer is treated separately, with individual instances of software, databases and servers. This model entails installing the software via a hosting center and—though it typically costs less in the long run—it often requires a large upfront payment. Other potential long term fees include monthly hosting costs–if using an outside hosting center—and software upgrades and maintenance. Since it is “owned” by a company, software can be updated when it’s convenient and can be customized without affecting others customers. Should a customer not pay for continued maintenance, they can still to use the last version they purchased. Hosted software is secure because data is regularly backed up; however, its reliability is limited by the hardware on which it is installed. Self-hosted software has to be downloaded, installed on servers and are available under license. It is directly installed onto a company’s server and requires continuous and ongoing monitoring and maintenance from the IT department. This is useful in large corporations or governmental agencies that require high confidentiality and security and hence require installation in the internal company server. So which one is right for you? It all depends on your company’s resources and needs–but understanding each model will help you decide which system is the right fit.